From the Getty going free, to card games introducing French children to colonial management, to First World War body armor. Here are the week’s top picks in imperial and global history. Tokens depict the myriad resources to be exploited from around the globe. 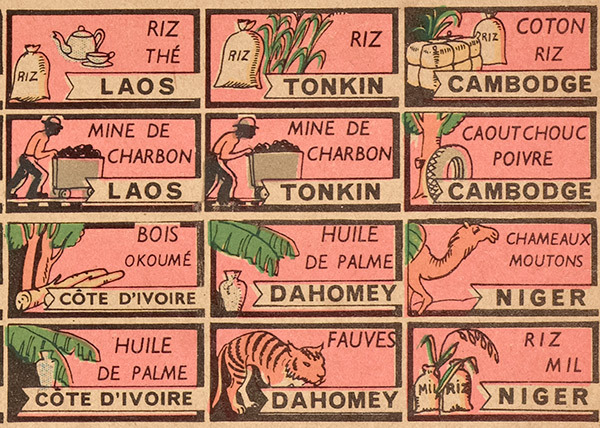 Here, Asian and African countries with their bounty—rice, cotton, rubber, coal, wood, oil, even wild animals (fauves). 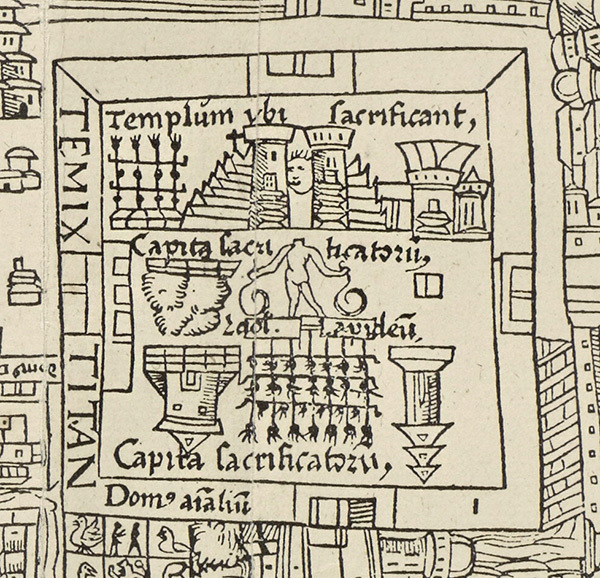 *Or how about some depictions of an Aztec ceremonial precinct in Tenochtitlan just after the Spanish conquest? We ask our readers to nominate books about early American history, then we pair them off against each other, until there’s only one book left standing. 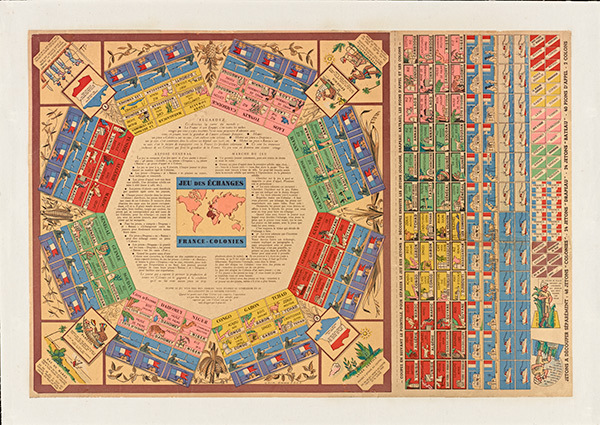 Last year’s tournament can be found here: Edmund Morgan’s American Slavery, American Freedom ultimately proved victorious. This year, we’re going to be doing the same thing, only with a twist: entrants to the tournament will be limited to books published since 2000. Last time around, we noticed a tendency to reward older, more established books. We wanted to bring the same liveliness of discussion to more recent works, and to highlight recent work that deserves the prominence of old favorites. *Finally, our friends at itshistorypodcasts.com have another fascinating piece, this one on the invention of a new body armor during the First World War that nevertheless failed to catch on. Perhaps it wasn’t stylish enough? 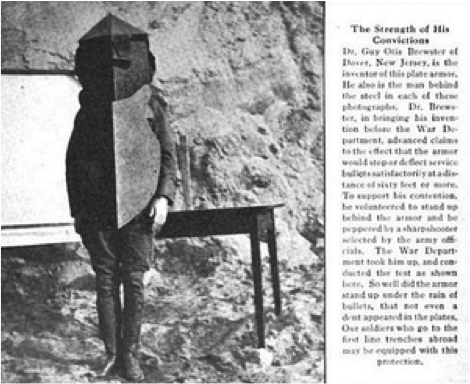 The body armor was named after its inventor Dr. Guy Brewster, and was ‘developed by the United States Army towards the end of the war. Whilst it was very clumsy and heavy it could withstand the bullets from a Lewis Gun. Its problems occurred due to maneuverability being massively reduced and the small issue of the helmet not turning’, making visibility nearly impossible. Previous Asterix the Gaul – Colonial Freedom Fighter or Neo-Imperialist? I admit that I am stumped–and quite curious as to the reason why. Any possible guesses/answers? Anything that is in the vicinity of kids stands a poor rate of survival. Most of “the red bits on the map” were probably ketchup!